Fasteignasala – Fyrirtækja- og skipasala – Leigumiðlun. 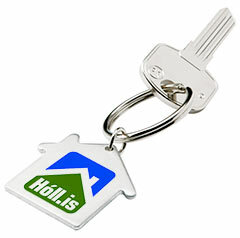 Velcome to Hóll – Real Estate Agency in Reykjavik, Iceland. As we might not have on display exactly what you are looking for, we ask you kindly to email us with all relevant information regarding what type of property, should it be an apartment, house, an farm, land or island, boat for fishing or recreation or an company. Also if you would be interested in either renting or buying. We will do our best to find the exact offer for you promptly. Wishing you all the best and thank you. Manager and owner, reg. relator and rental agent. Ertu i hugleiðingum að kaupa eða selja fyritæki? Þá ert þú á réttum stað! Ert þú að leita af skrifstofu með stóran eða lítinn lager? Við hjálpum þér með það! Kaupa eða selja skip, já við aðstoðum þér við það.